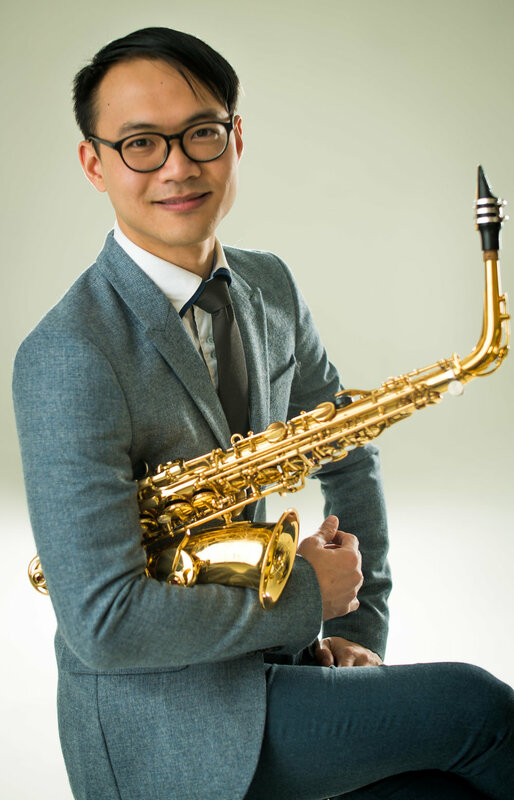 Calvin Wong found his interest in playing saxophone at the age of ten. He followed Man-Sze Tsang and Martin Choy for nine years and actively participated in various music competitions. His professional ensemble appearances include performances with MODUS, Peninsula Quartet, Hong Kong Chamber Wind Philharmonia, Hong Kong Saxophone Ensemble, and Hong Kong Youth Saxophone Choir. He has performed in master classes and lessons for Eugene Rousseau, Claude Delangle, Arno Bornkamp, Nobuya Sugawa, Masato Kumoi, John Sampen, Thomas Liley, Chien-Kwan Lin, Julia Nolan, James Umble, Jan Berry Baker, Tom Walsh, Adam McCord, Bruce Weinberger, Oasis Quartet, Zagreb Quartet, and Akropolis Reed Quintet. Calvin studied with Stephen Page at The University of Texas at Austin Butler School of Music (AD), Otis Murphy at the Indiana University Jacobs School of Music (MM), and Kenneth Tse at the University of Iowa (BM). 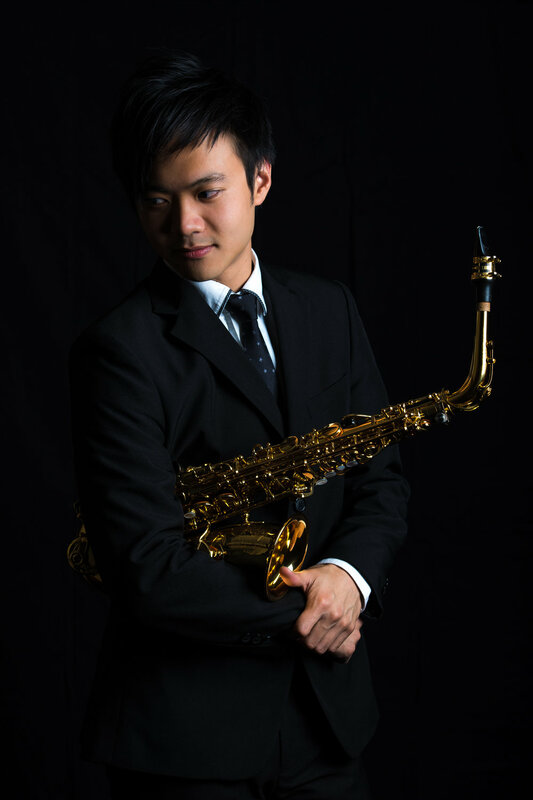 Recently, Calvin has performed the Concerto by Henri Tomasi with The University of Texas Symphony Orchestra as the winner of the Concerto Competition, as well as other conferences, such as The First Asian Saxophone Congress in Taiwan, North American Saxophone Alliance (NASA) Conferences, Midwest International Clinic in Chicago, Singapore Saxophone Symposium 2015, World Saxophone Congress XVI in Scotland, New York Wind Band Festival at Carnegie Hall with the Indiana University Wind Ensemble, and the College Band Directors Nation Association National Conference at Kansas City with The University of Texas Wind Ensemble. Calvin has also featured as a soloist on Four Pictures from New York by Roberto Molinelli with the Wah Yan Symphony Orchestra and Hong Kong Youth Saxophone Choir respectively, as well as Fantasia on Lyun Joon Kim’s Elegy by Richard Dudas with the Hong Kong Saxophone Ensemble. 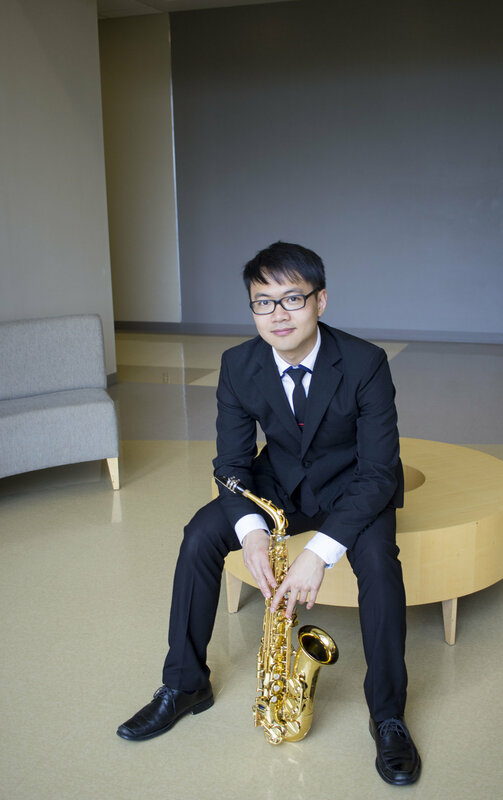 Holder of scholarships from The University of Texas, Indiana University, and University of Iowa, Calvin competed in the Music Teacher National Association and the International Saxophone Symposium and Competition. He was awarded prizes in the 2013 and 2014 Yamaha Performing Young Artist Competition, and the NASA Region 3 Competition. Besides standard repertoire, Calvin is active in new music performances. Premiere performances were made by composer Don Freund, Adam Schoenberg, David Canfield, Aaron Perrine, Jennifer Jolley, Jeremy Podgursky, Stephen Rothermel, Casey Martin, Aaron Smith, Chris Neiner, among others. His enthusiasm of playing with a chamber ensemble has led him to have the opportunity to play under the baton of Ray Cramer, Jerry Junkin, Stephen Pratt, David Dzubay, Victor Tam, Kevin Ngai, William LaRue Jones, Mark Heidel, among others. Calvin recorded with the University of Iowa Saxophone Ensemble in “Contemplation” under Jeanné Records, and was featured in David Canfield’s new album “Chamber Music, vol. 5.” In 2016, he has also commissioned and premiered La Réflexion by So Ho Chi, and Nymphéas by Larry Shuen Lai-yin, Cadence Facory by Gu Wei, and beneath cindering stars, the wild roses barely breathed by Christopher Ciampoli. This summer, Calvin has also participated at the New Music On The Point Festival in Vermont, where he worked with Christian Wolff, Jan Williams, Katharina Rosenberger, Tony Arnold, Timothy Munro, JACK Quartet, and Bent Frequency. As an educator, Calvin has given master class at the California State University at Fullerton, MCGP Seacon Square (Mahidol University) in Bangkok, the Summer Saxophone Academy at Indiana University, and the Young Saxophonist’s Institute in Texas. He is currently private teaching at Georgetown, Pflugerville, and Austin in Texas as well, where his students have been successful at Texas All-State auditions and University Interscholastic League auditions. He is now the Artistic Director of the Hong Kong Youth Saxophone Choir. Currently, Calvin resides back in Hong Kong to promote music education and develop creative career.